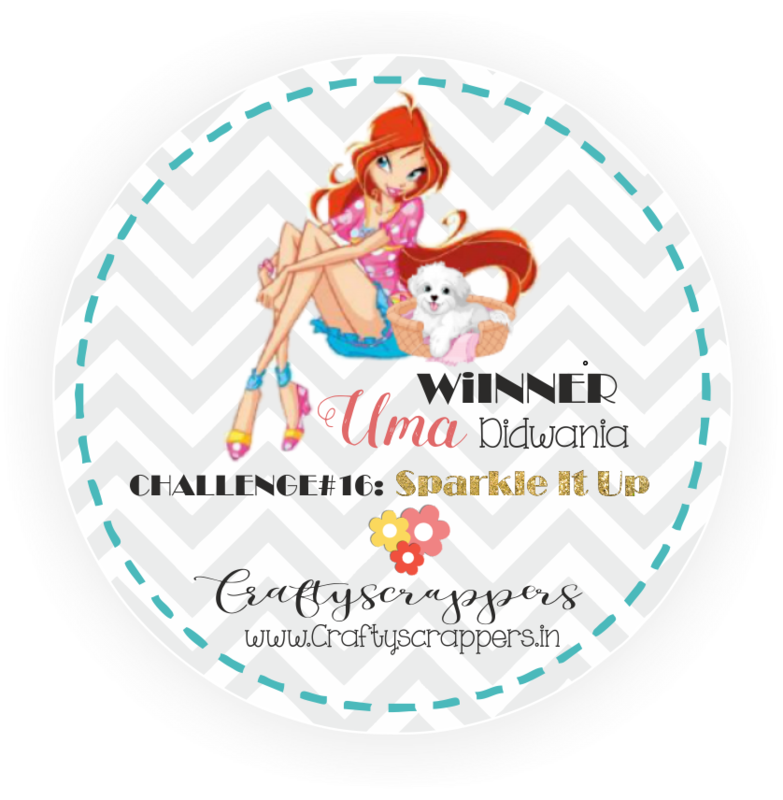 Today is inspiration wednesday, and I am back with my new creation. I made a layout with Sweet Peony flower and Dogwood flowers. 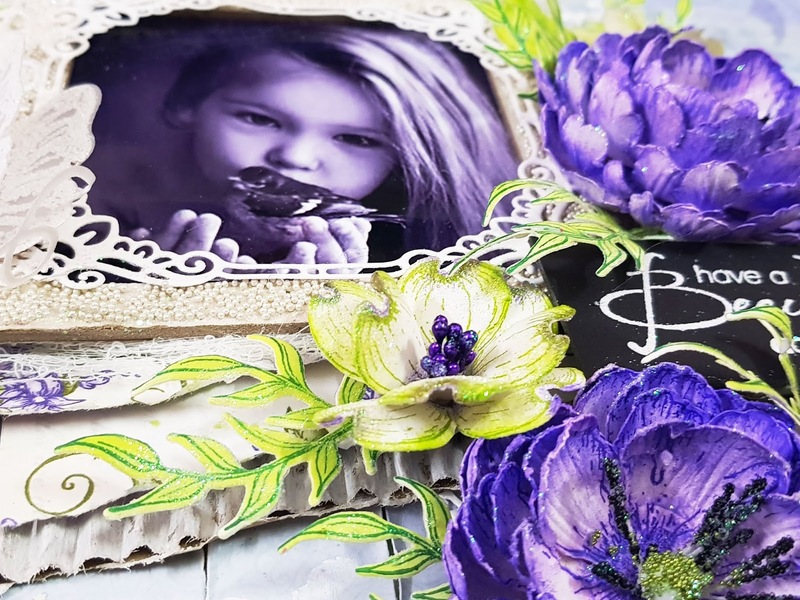 Versa Mark, White heat embossing powder, Mini micro pearl, Rainbow glitter, White cord, Archival Ink Pad ( deep purple , leaf green , library green), Vellum Paper, Cheese cloth. Choose two pattern paper from Lush lilac paper collection. 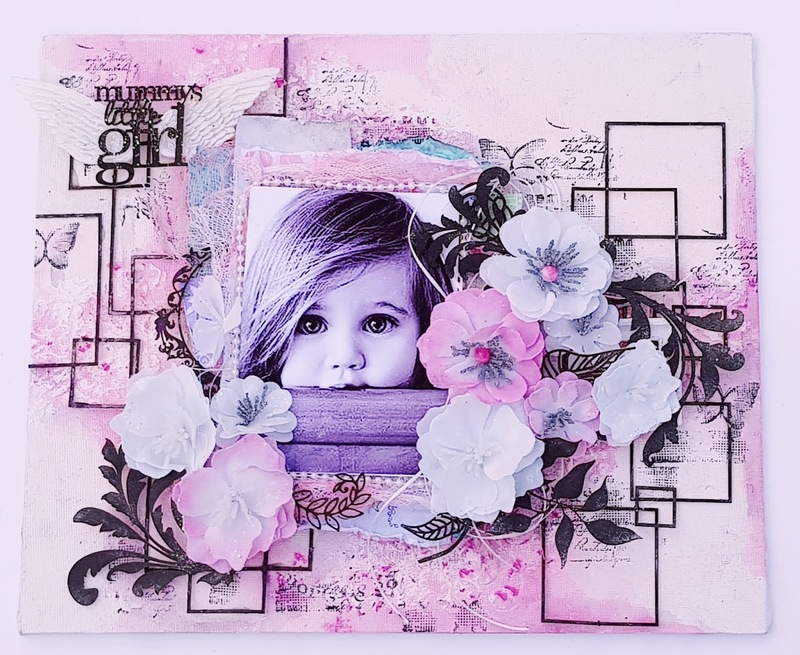 Take a thick chipboard and glue a pattern paper over it. Take another pattern paper little bit smaller than the first one. Make straight cuts over the pattern paper in 1" distance as shown in the picture. Distress the edges of all the cuts using scissors. Adhere the pattern paper using dimensional tape for added dimensions. Apply modelling paste using stencil. Take a piece of cardboard. Apply gesso on the edges of the cardboard. Adhere the cardboard and the pieces of some pattern paper using dimensional tape as shown in the picture. 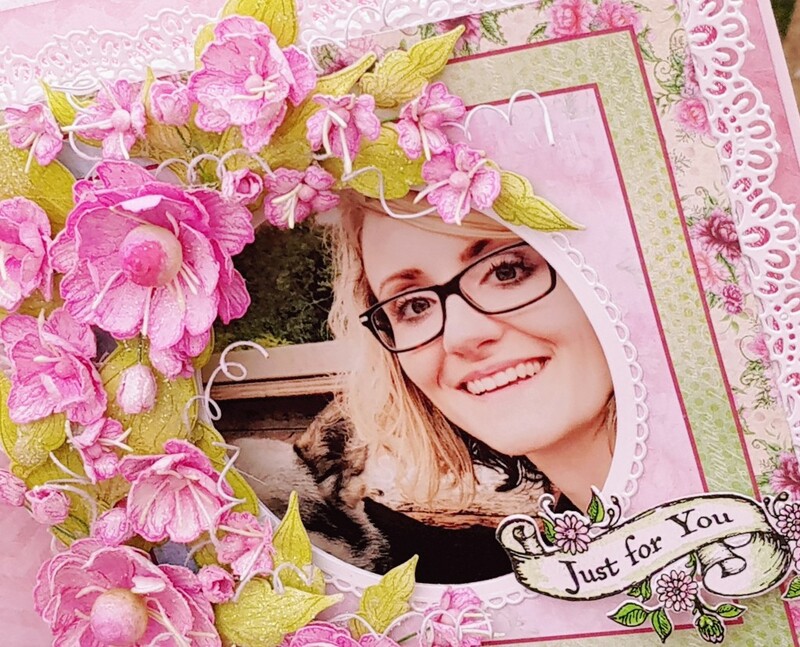 Take a square piece of chipboard (4.5") and make a frame. Glue the micro mini pearls on the frame using clear dry glue. Frame the picture. Cut a square frame using decorative die and glue it on the frame. Glue the frame on the layout using hot melted glue. 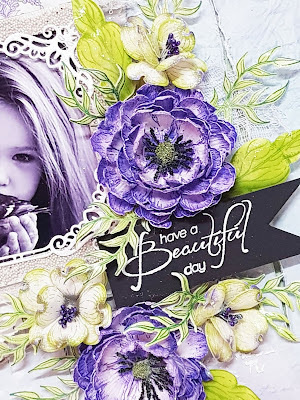 Stamp some sweet peony flowers on the white cardstock using deep purple archival ink pad and color with same color. Also stamp some Dog wood flower using leaf green archival and color them with leaf green same color. Cut with coordinating die. Shape the flowers using deluxe flower shaping kit. Stamp some leaves using library green and color with leaf green archival. 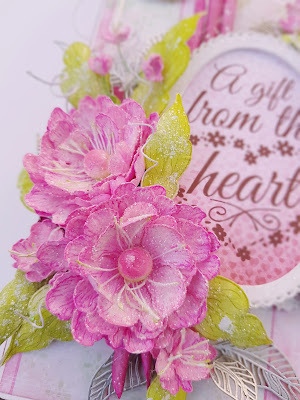 Arrange the flowers and leaves in desire manner and glue them using hot melted glue. Stamp a sentiment using versamark on black chipboard and heat embossed with white embossing powder. 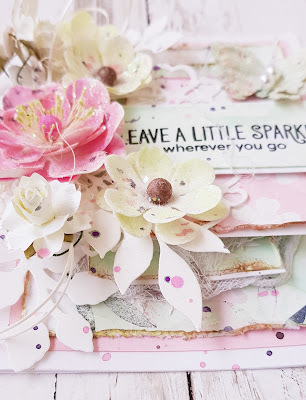 Paste the sentiment chipboard using dimensional tape. 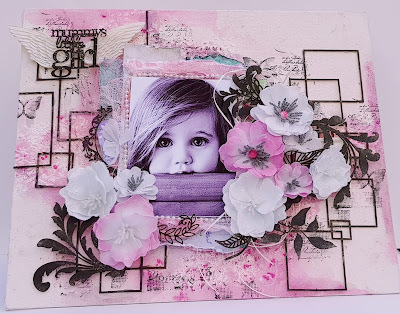 Cut a dolly from white cardstock using decorative die. 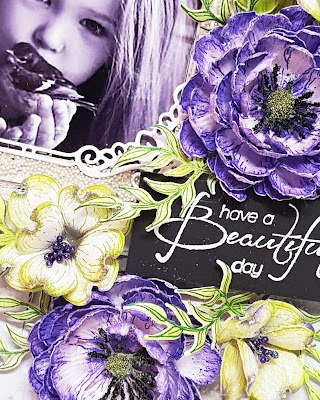 Glue half dolly die cut on the right side as shown in the picture. 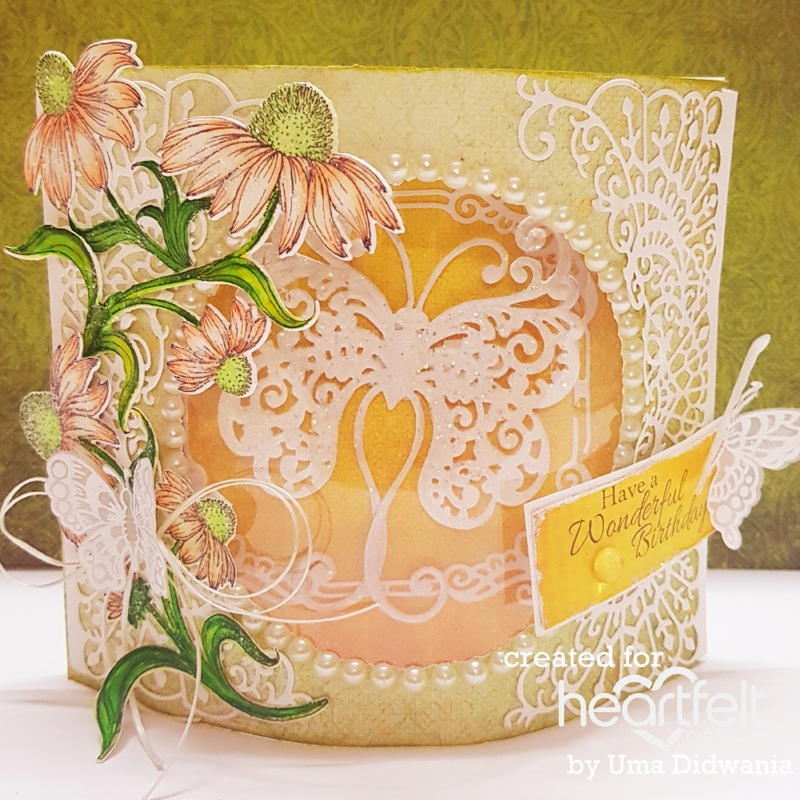 Stamp a butterfly on vellum paper using versamark and heat embossed with white embossing powder. Cut with coordinating die and glue on right side. Also cut a tag from the same collection and adhere it as shown. For the finished look apply rainbow glitter using adhesive that dries clear. 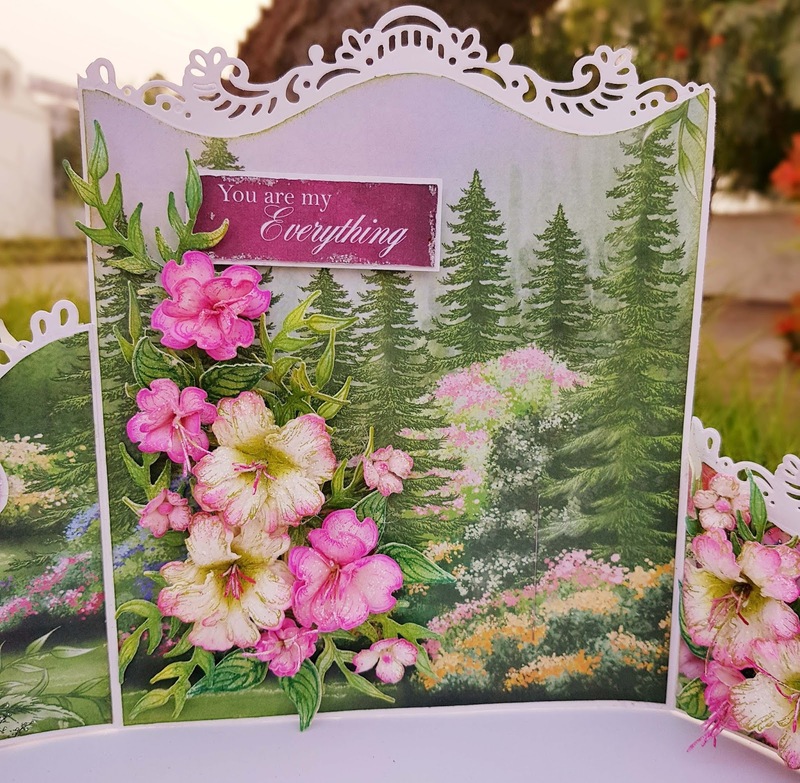 Today I am back with pretty pink card. 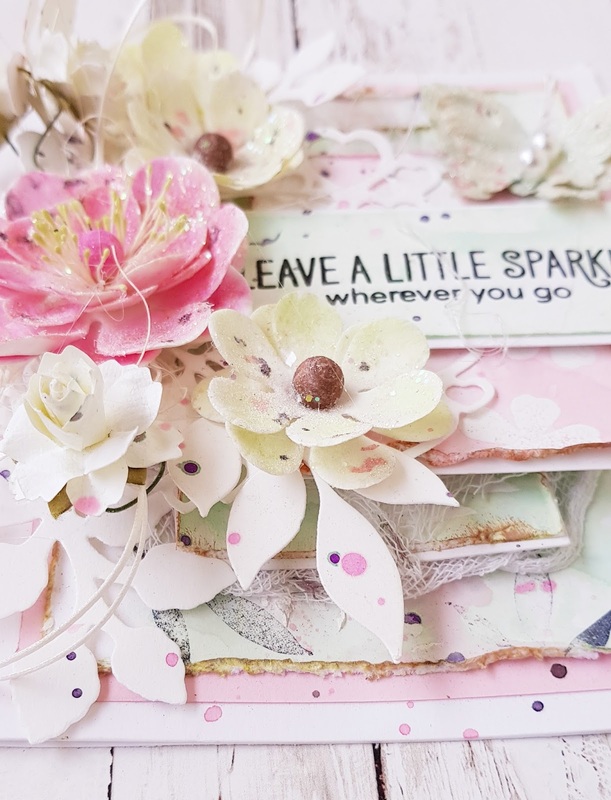 As you all know I love working with pastel colours. 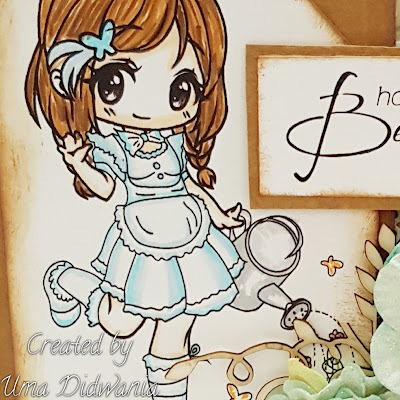 So here is one more card with pastel colors. 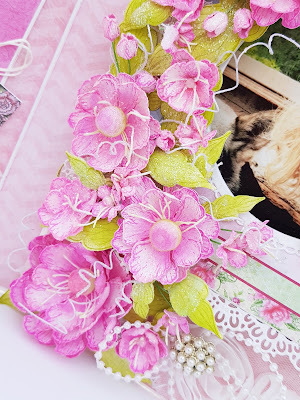 I love making flowers and these are handmade foamiran flowers. 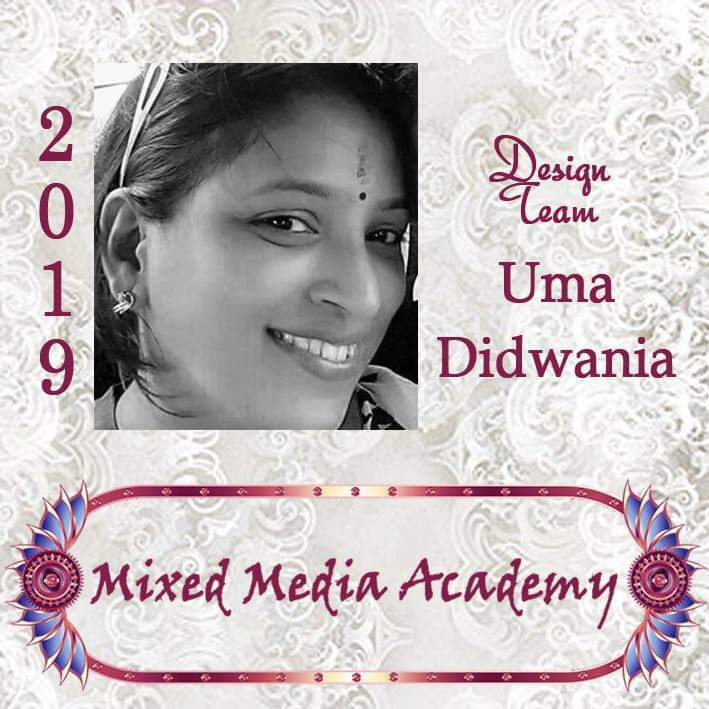 Would love to hear from you !!!! 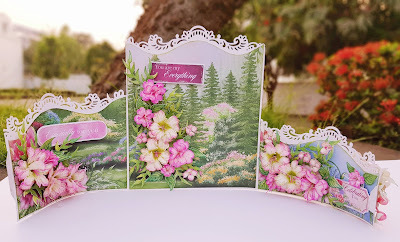 Today I'd like to share my layout with "Organza Foam" flowers, which is recently launched by "Dadarkar Arts". You can buy this foam from here. As you all know that foam flowers are so pretty and looks so real. Organza foam is very thin and give more real look to flowers. This is available only in white color. 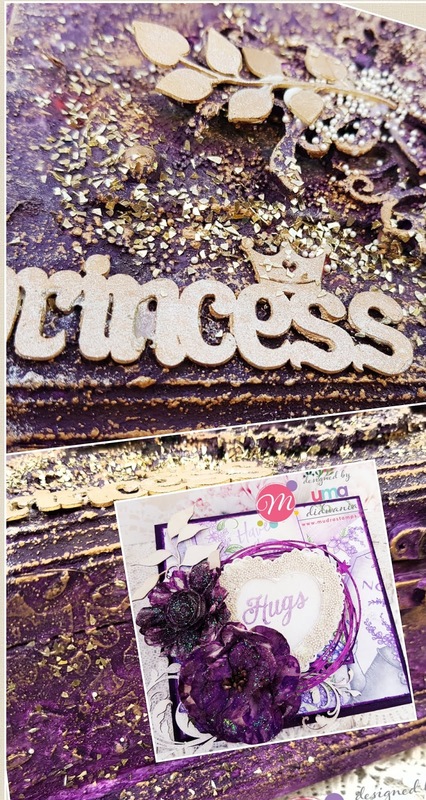 You can apply any color over it, like Archival inks, Pastel colours, Gelatos and many more. No need to heat this foam, You can simply twist and create amazing flowers with this. 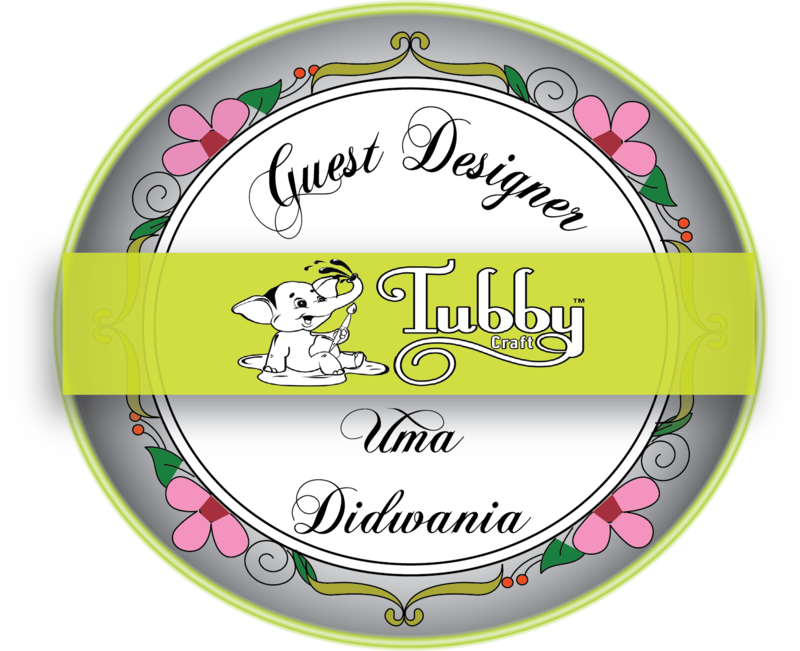 If you have any queries about the organza foam you can freely ask me. 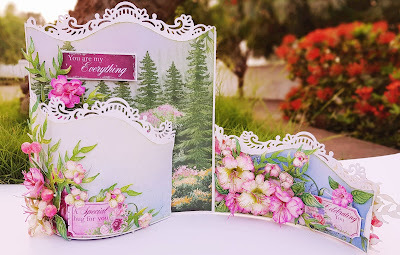 Ready upside fold card 6"×5.5"
Choose a pattern paper from Backyard Blossom paper collection to create a dome. Cut the pattern paper into 9"×5.5" . Cut a circle in the middle of the paper using Eyelet Circle & Basics Small die. Glue a OHP sheet on the backside of the circle using double sided tape. Stick half cut pearls around the circle as shown in the picture. Score the lines on 1" and 8" on the longer side. 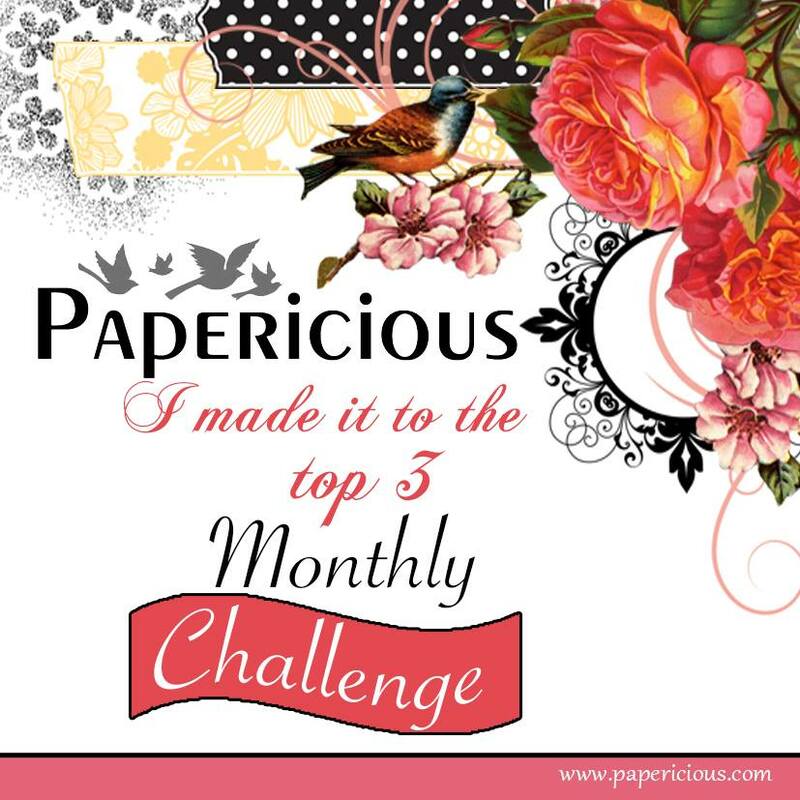 Choose another paper from the same collection and cut into 6"×5.5". 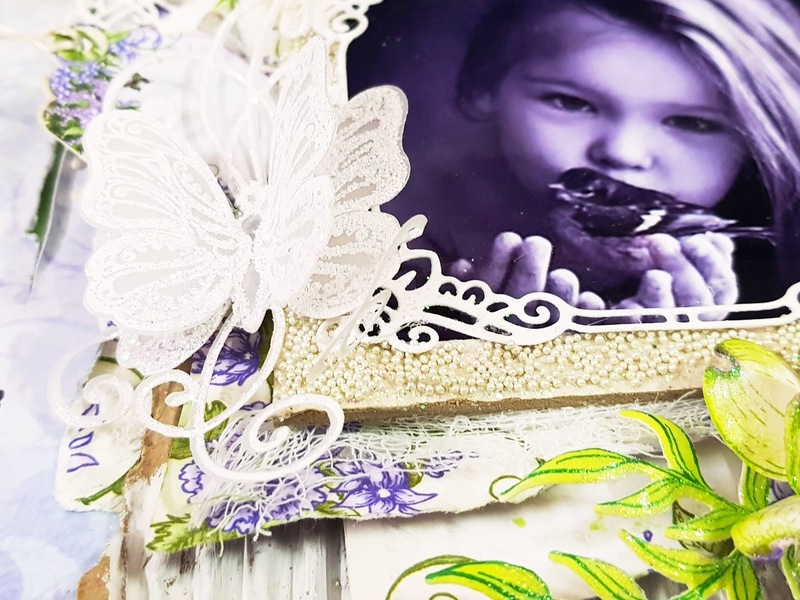 Cut a frame from the white card stock using Butterfly Kisses Decorative Die. 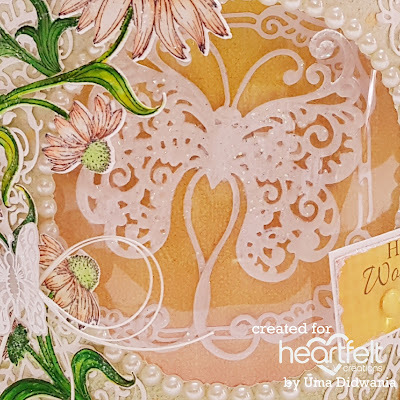 Paste the frame on the pattern paper using glue that dries clear. 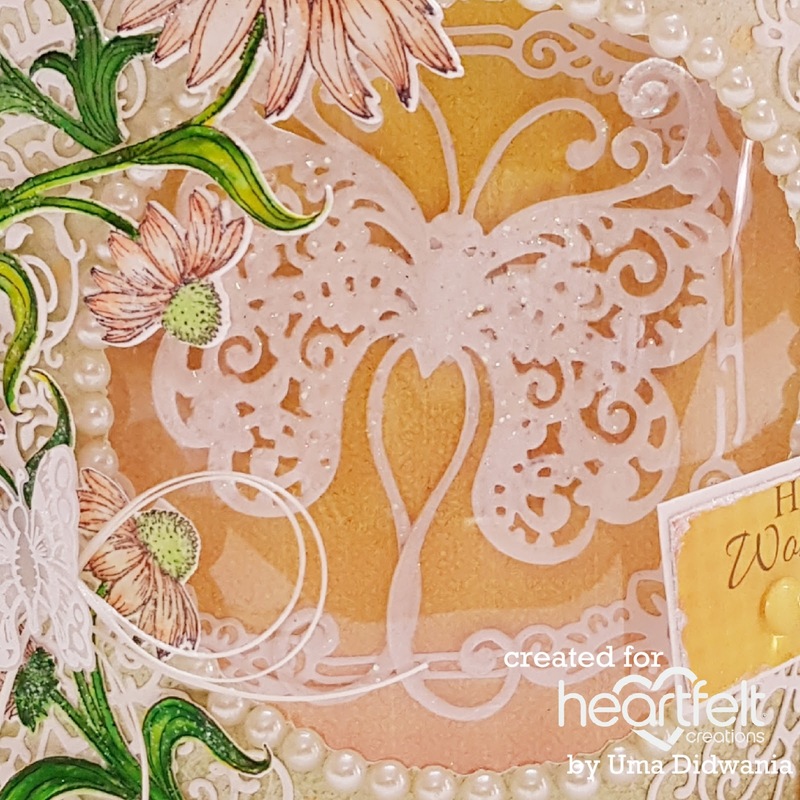 Cut a butterfly from the white card stock using Fluttering Butterfly Die. Apply soft matt gel on the butterfly and sprinkle Rajni Chawla's Frosting powder. Glue the butterfly in the middle of the frame. Stick the paper to create a dome as shown in the picture. Stamp some flowers from Blossoming Coneflower Stamp using black archival and cut with coordinating die. Color the flowers using zig markers. 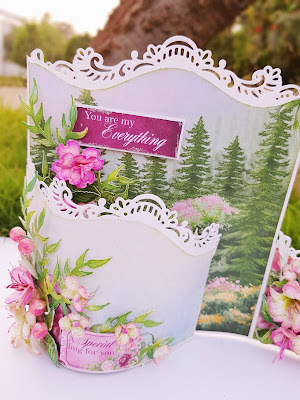 Cut two border die cuts from the white cardstock using Decorative Medallion die. Glue the borders and flowers as shown. 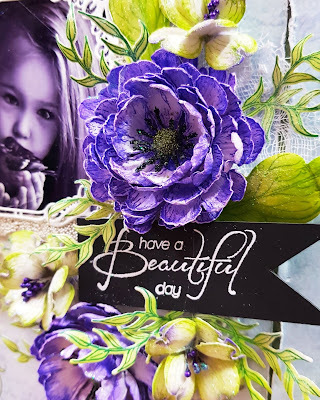 Cut a sentiment ticket from the same collection and paste it using dimensional tape. Stamp 2 butterfly from Butterfly Medley Stamp using versamark and heat embossed it with white embossing powder. Cut with coordinating die. Tie a bow with cord. Glue the bow and butterfly as shown in the picture. 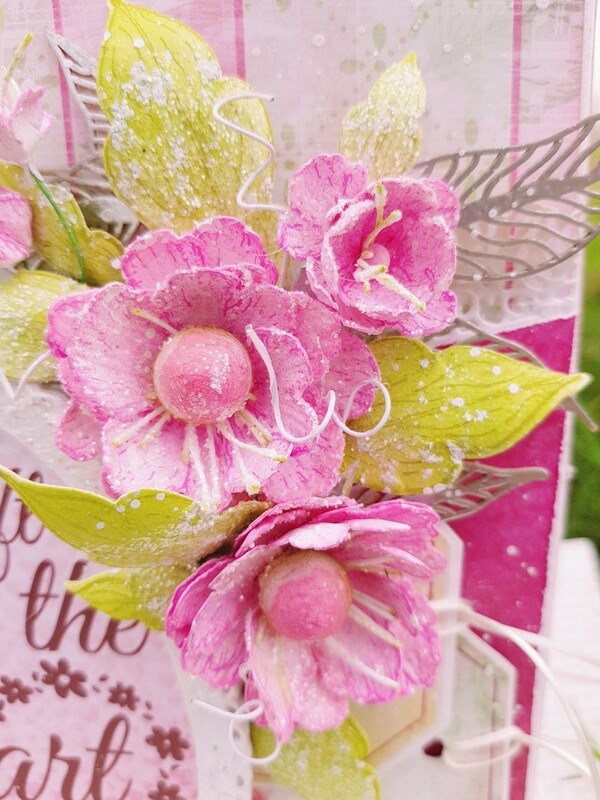 For the finished look apply sparkling dust on the flowers using adhesive that dries clear. Today I am here with my wednesday inspirational post which I made with Heartfelt's Sweet Peony Collection . Which is recently launched. I really love this collection . Flowers are my first love and peony is one of my favourite flower,"especially pink peony". 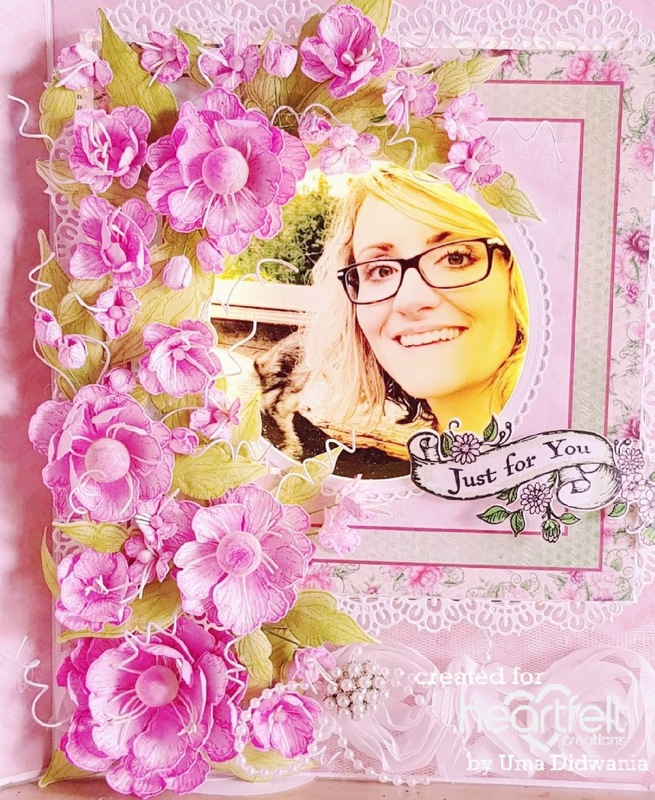 This is my first project for Heartfelt's Design Team Call 2018(final round). I create this card especially for Emma lou Beechy. I create a book light card.Here is the card. 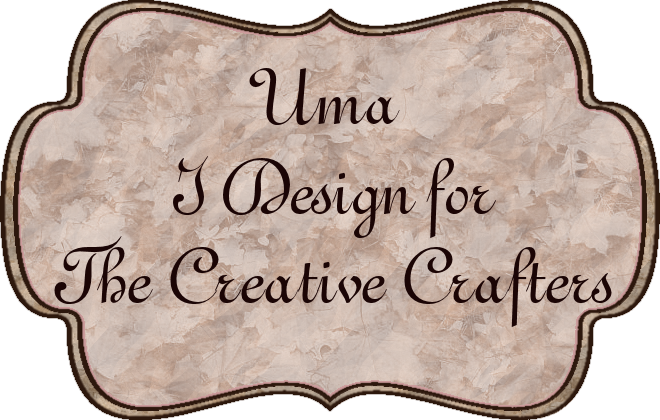 Project size : 9"×7" open card size 9"×17"
For the base card I take thick white cardstock of 9"× 17". Score it on 1",2", 9"and10". Choose a pattern paper from Sweet Peony Paper collection for the front of the card and one from singing in the rain paper collection for inside the card. Cut 3pc 9"×1" strip and 2pc of 9"×7" from each pattern paper. 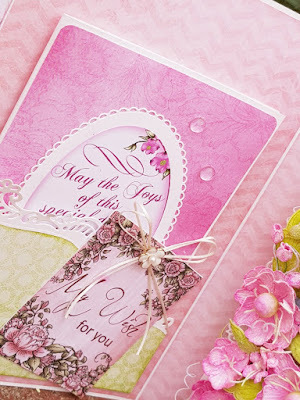 Distress the edges using magenta hue ink and adhere it on both side of card. Create a magnetic closer using disc magnets. 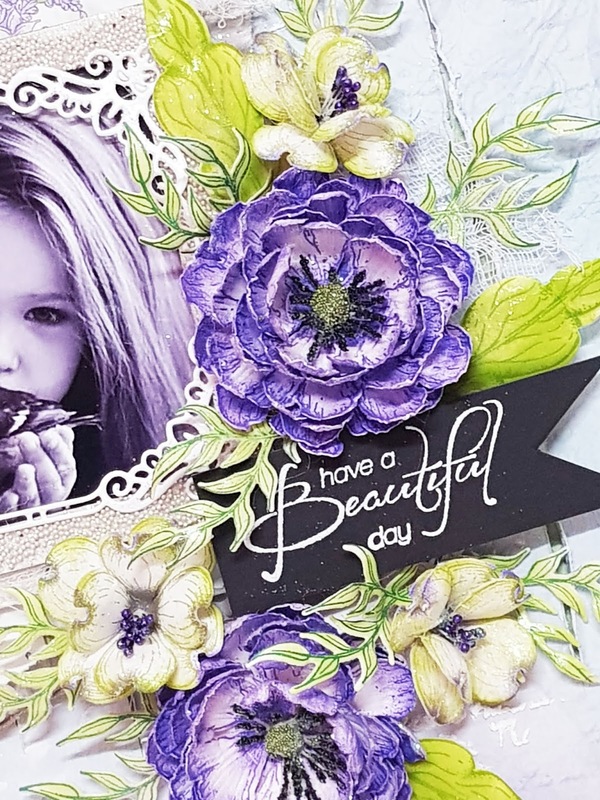 Stamp the flowers from large Sweet Peony stamp and Small Sweet Peony stamp using magenta hue ink. 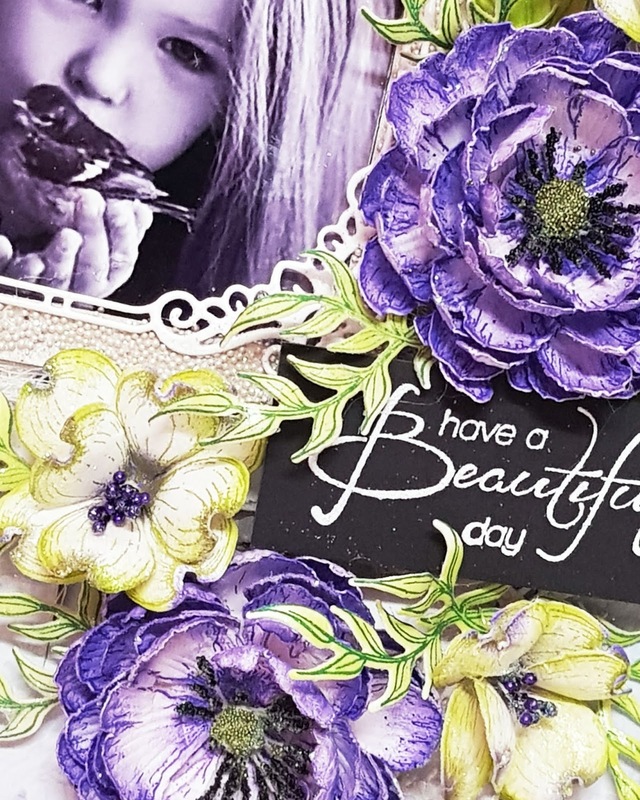 Cut the flowers using co-ordinating dies. Color the flowers with same colour and shape with groove tool. Also create some fillers. Stamp the leaves using leaf green archival and color them with leaf green and library green ink and shaped with ball tool. Take a pattern paper from Sweet Peony Paper collection and cut in 3.5"×7". Distress the edges of the pattern paper using scissor. Glue border die cut on both side of pattern paper and adhere it on the card diagonally using foam tape to add dimension. Cut two tags from the same collection and tie a cord. Adhere the tag using foam tape. 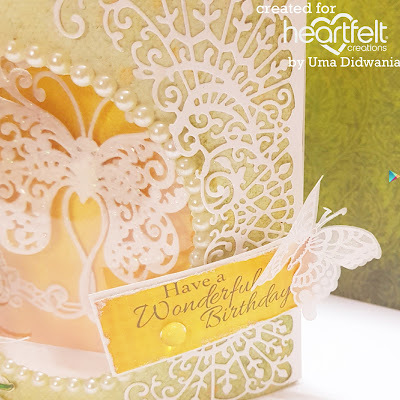 Make some paper roll and glue them on the card base. 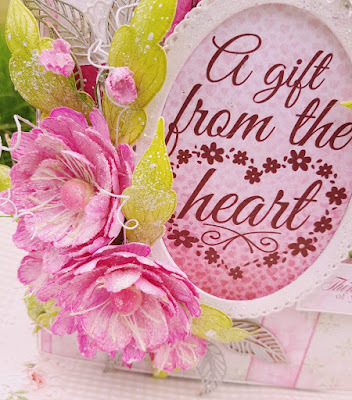 Cut a sentiment card from the Heartfelt love paper collection using oval die. Also cut 6 pc of oval frame from white cardstock . 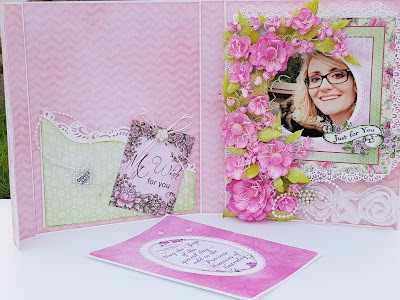 Glue all frame together and create a thick frame . 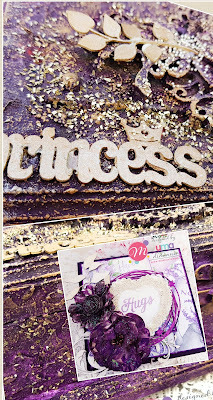 Apply clear dry glue on the frame and sprinkle some frosting powder. Glue the frame over the sentiment card and adhere it on the card base as shown in the pic. . Heat emboss the chipzeb with silver embossing powder. Arrange the chipzeb,flowers and leaves as shown. 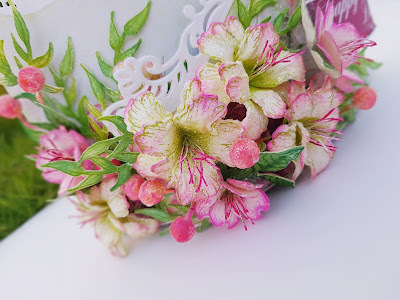 Make some swirls with white floral wire and glue them . Cut 2 sentiment tickets from Sweet Peony Paper collection and adhere on the card using dimensional tape. 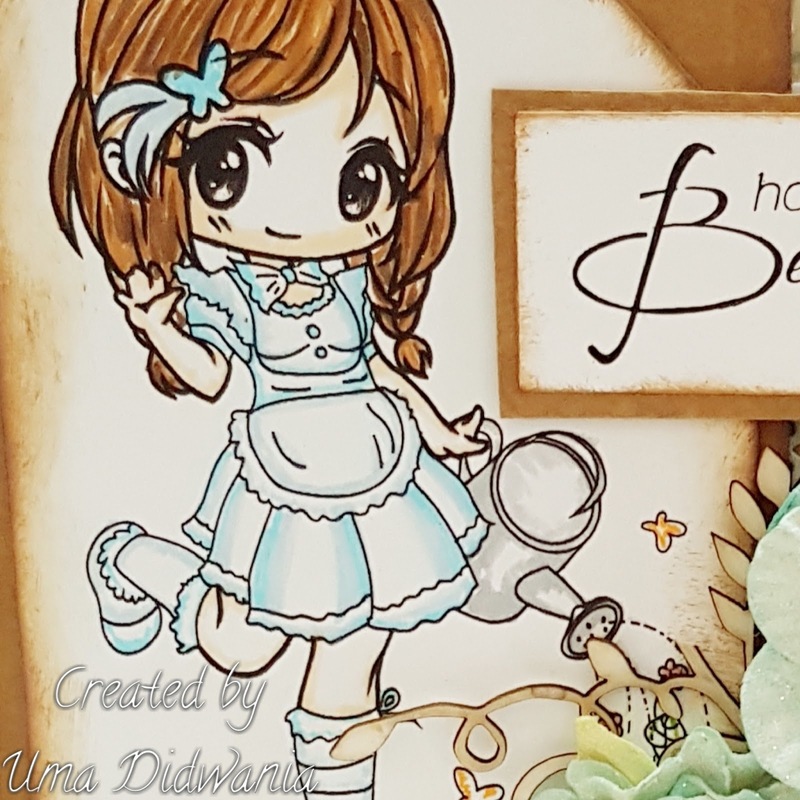 Create a pocket using delicate borders basics die . Choose a pattern paper from singing in the rain paper collection. Distress the edges using leaf green archival and adhere it on the pocket. Cut a sentiment card from the Heartfelt love paper collection and glue it on the pocket . 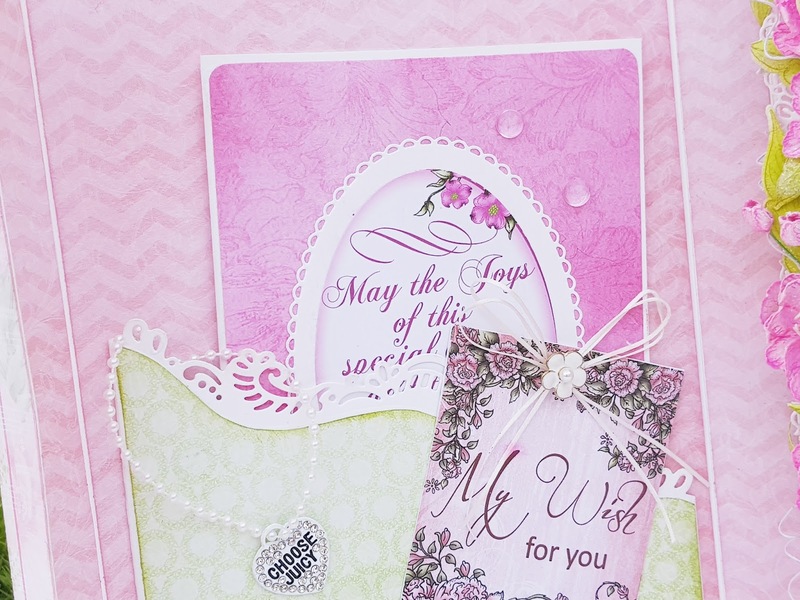 Tie a bow from the white cord and glue it on the card. 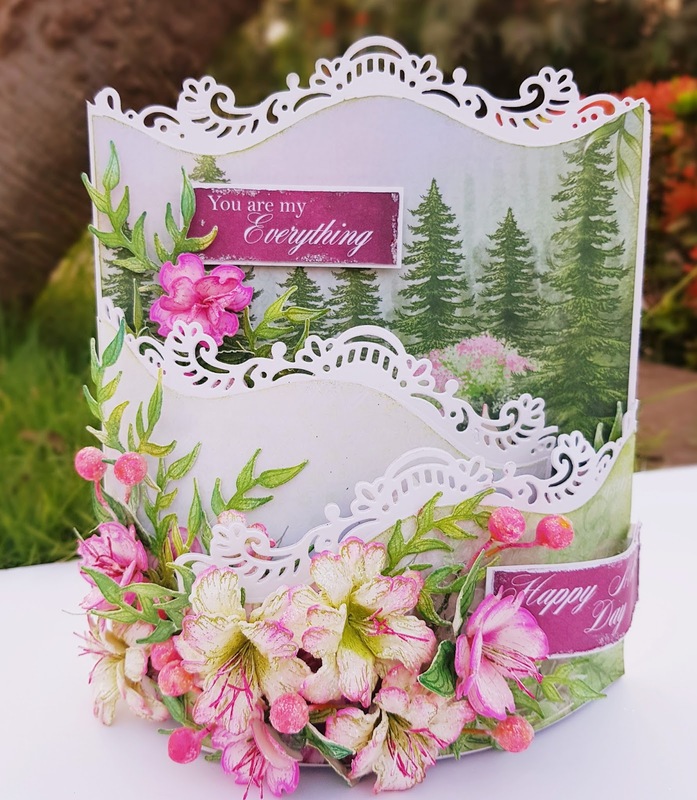 Create a 7"×5" side fold card with white cardstock . Adhere a pattern paper on the card from Sweet Peony Paper collection. Cut a sentiment card from the Heartfelt love paper collection using oval die. Also cut a oval frame with white cardstock.. 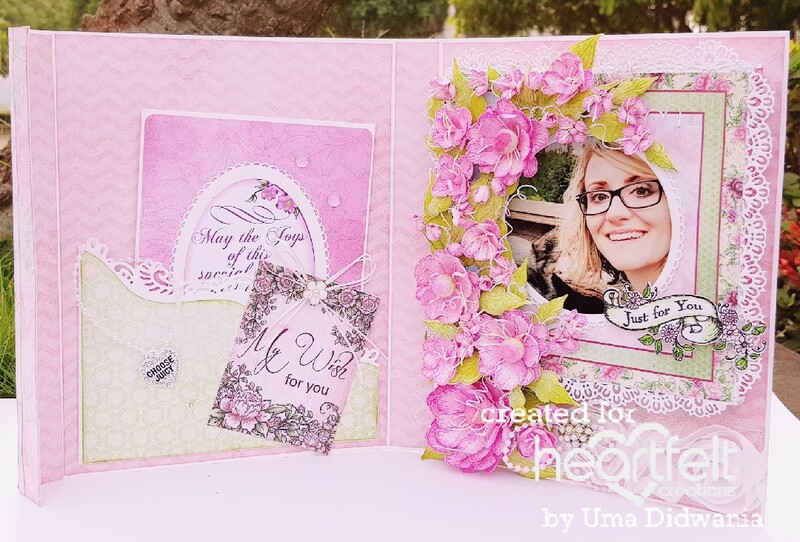 Glue the sentiment card on the card base and also glue the frame over it. Glue 2 water droplets using clear dry glue. Create a 6"×6" shadow box with white cardstock using circle die.Choose a pattern paper from Sweet Peony Paper collection and adhere it on the shadow box. 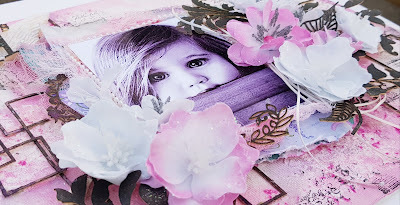 Cut a frame from white card stock using circle die and glue it on the shadow box. Inside of the shadow box paste the pic and arrange the strips light. Glue border die cut on the edges of the shadow box. 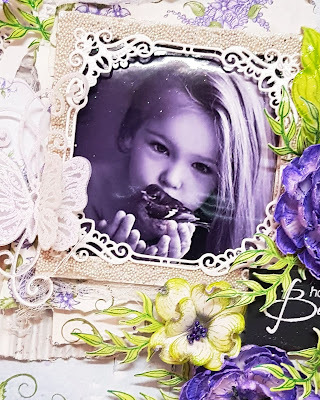 Glue the shadow box on the card base. Add a lace trim below the shadow card. Tie a bow with pearl string and glue it on the lace trim . Also add a bling on the bow. 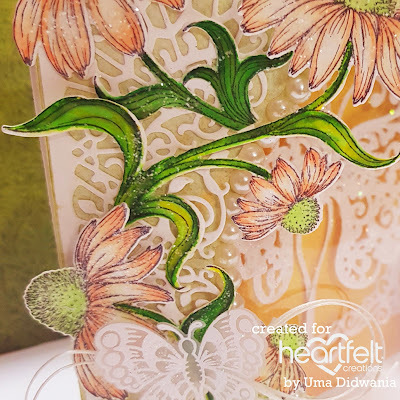 Glue the flowers, fillers, leaves and swirls as shown in the pic. Stamp a sentiment from the banners of love stamp. 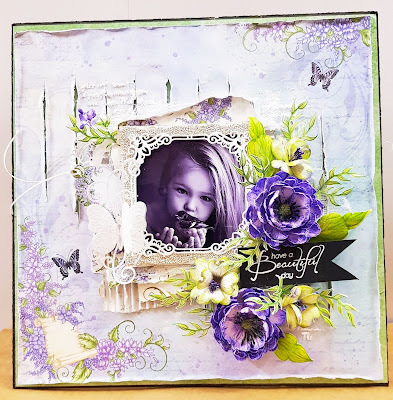 Color it with zig markers and cut it with co-ordinating die. 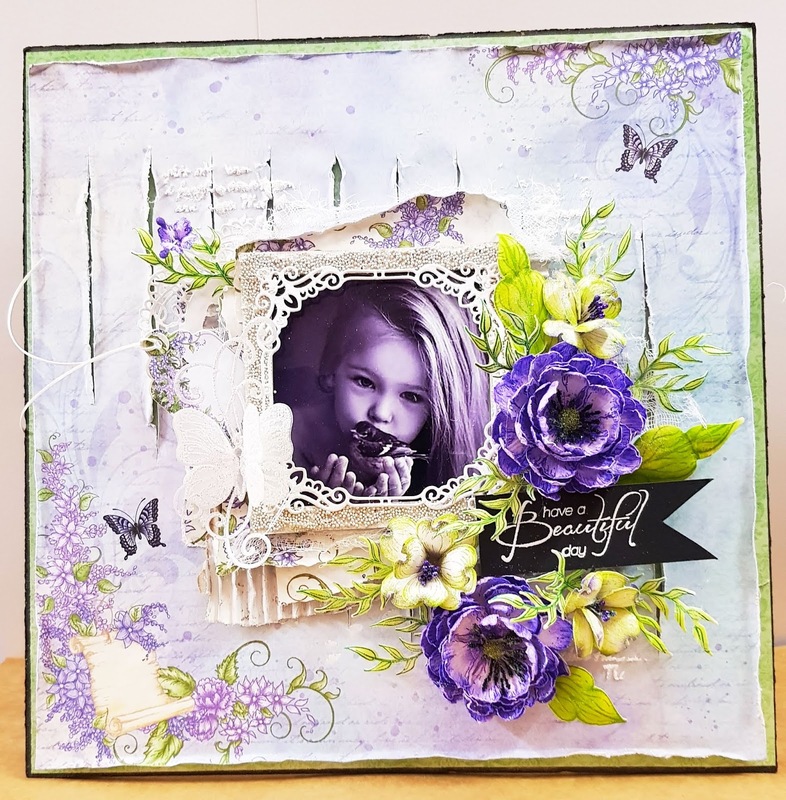 Adhere it on the shadow box using dimension tape. 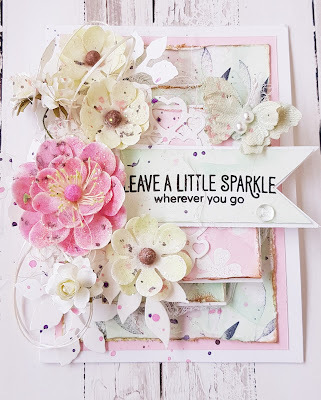 For the finished look apply sparkling dust on the flowers using adhesive that dries clear. Today I'd like to share a card which I made for "The Creative Crafters" challenge blog. Our new challenge is live now. 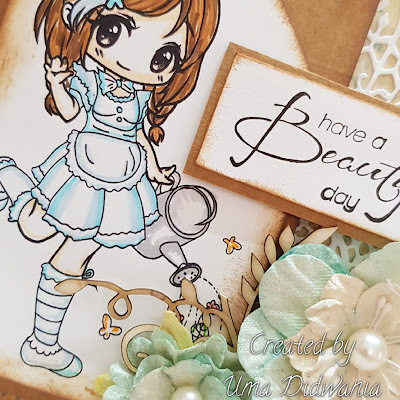 The cute digital stamp from "LeAnn's World 101" - Digital Stamp. 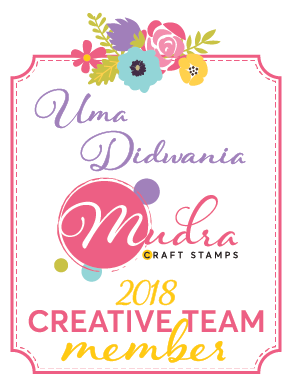 Here is the link of stamp I use. 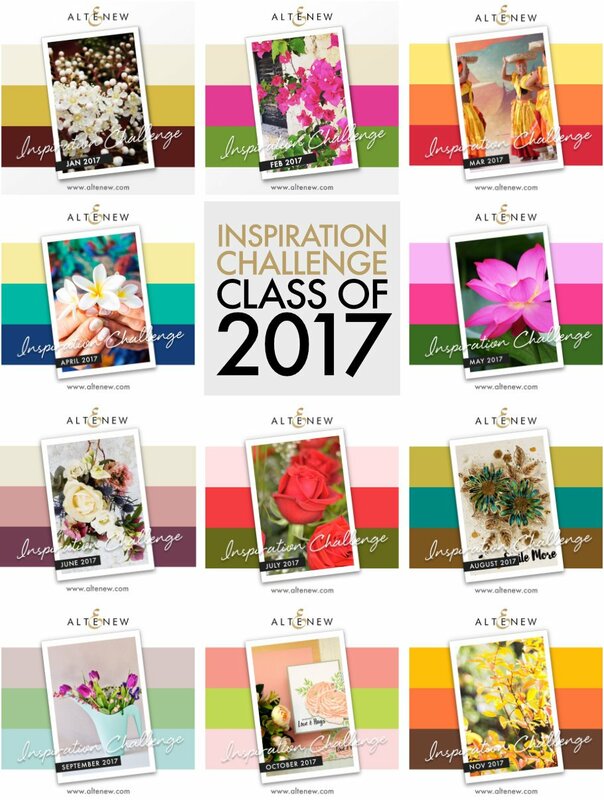 Play along our current challenge "Anything Goes" and stand for a chance to win the beautiful digital stamp from our sponsor. 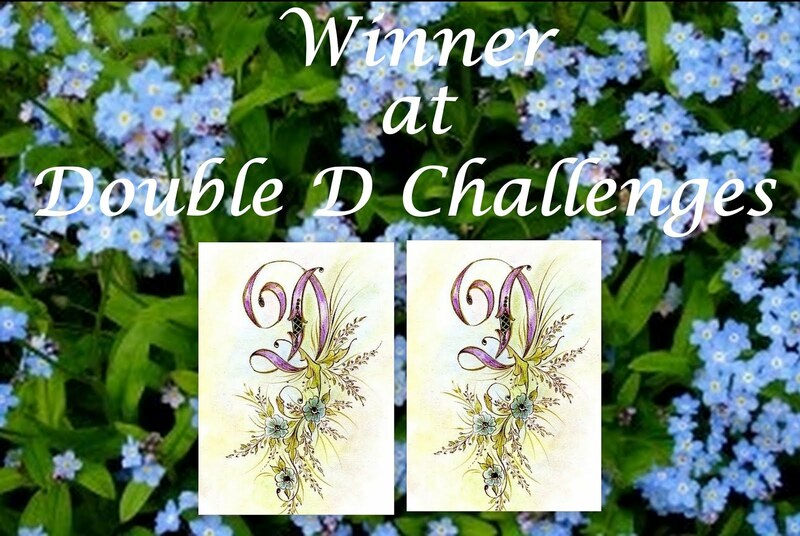 The winner May choose a prize of 2 digital stamp from "LeAnn's World 101 Etsy Store". 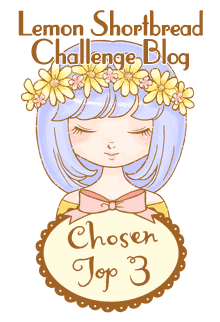 Here is the link of our challange. 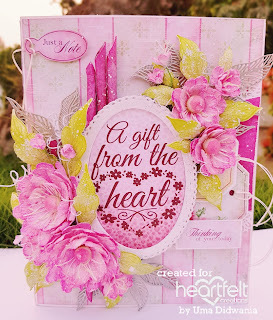 Today I would love to share a Mother's Day Card which I made with Heartfelt's Sweet Peony Collection . 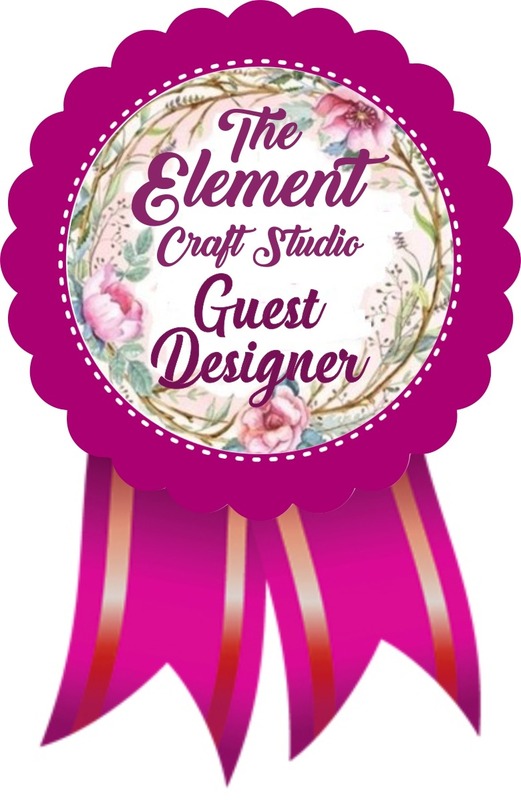 This is my first post as Design Team Member of Heartfelt Creations. Today I start working with a very special team. It's really amazing!!! Instructions: Create a Bendi-Card by following these easy and wonderful instructions by Susan Campfield , check tutorial here . I alerted the instructions by using the Delicate Border Basics die rather than cutting the flaps freehand. Choose a pattern paper from Sweet Peony Paper collection and cut it for layering the flaps . Sponge the edges with leaf green archival and adhere it on the card base. 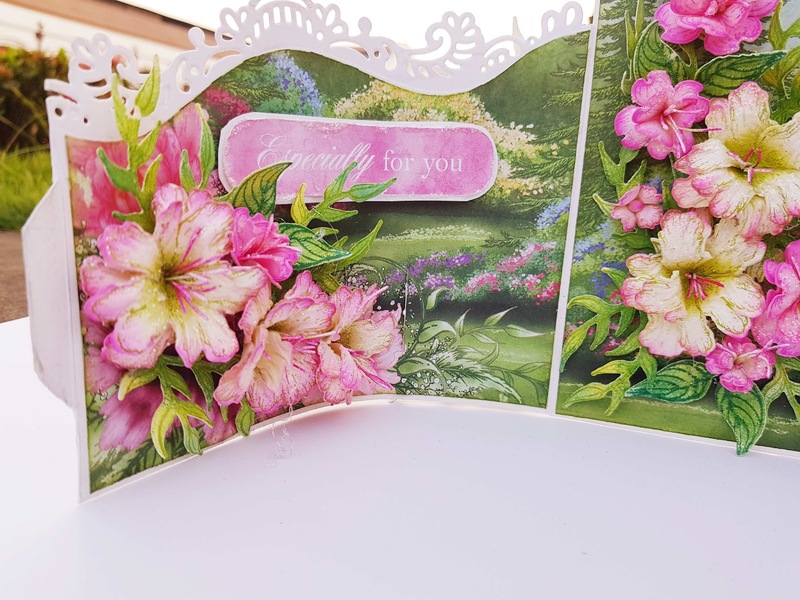 Stamp Peony flowers using leaf green archival and cut with co-ordinating die. Slightly color with vibrant fuchsia ink and shape them . Glue flowers together and piercing a hole in the center of each flower and add stamen. 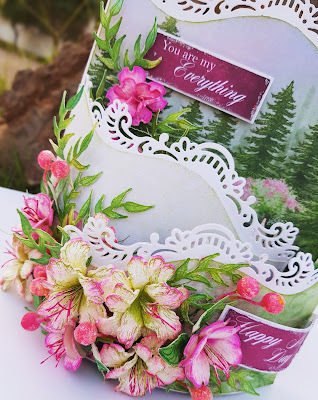 Similarly stamp some Dogwood flower using vibrant fuchsia ink and color with the same ink. Shape them with ball tool. Stamp some leaves from Rain Boots and Blossom stamp using leaf green archival and color them with leaf green and library green ink. 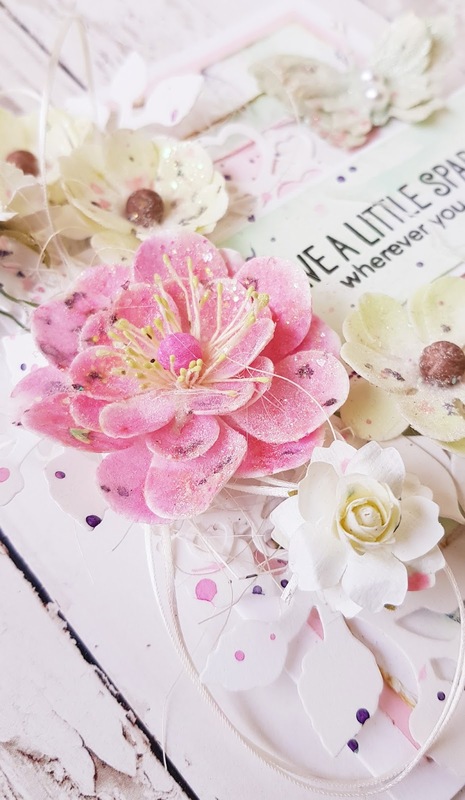 Glue flowers and leaves on the card base using hot glue as shown in the pic . Add some cherry pollens. Cut some sentiment from the same paper collection . Distress the edges of the sentiment and apply glitter on it. Adhere them on the card using dimensional tape as shown in the pic. For finished look apply sparkling dust on the flowers using adhesive that dries clear.